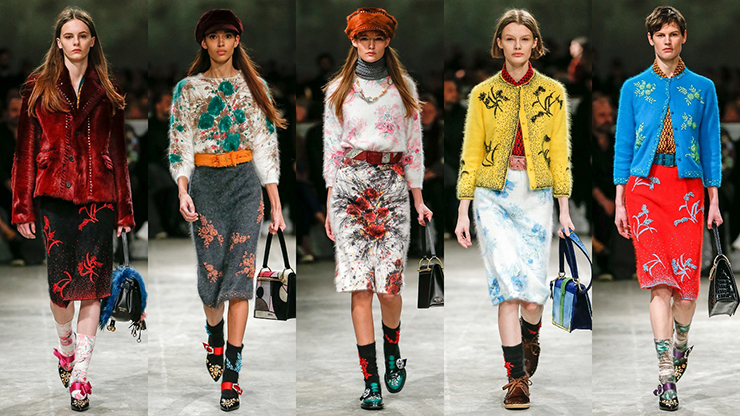 Miuccia Bianchi Prada was born in Milan in 1949. Her grandfather, Mario Prada, died when she was 9 years old. Mario was exactly the one who founded the company in 1913. At the age of 15 she was a real rebel, wearing extravagant things from Saint Laurent, Pierre Cardin and British designers, and she intended to be the first in everything. In 1970, Miuccia graduated from the University of Milan majoring in Political Science and went to receive her doctorate. In 1973, she studied the art of pantomime, until her parents intervened in the process. 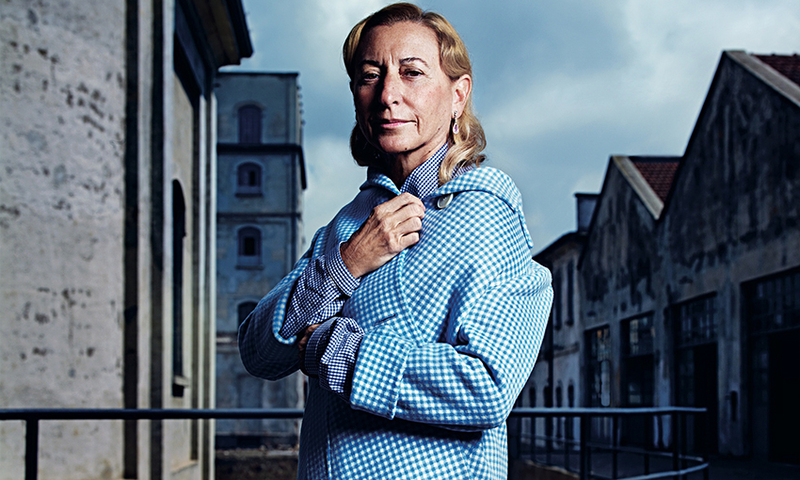 In 1977, Miuccia Prada took over the family business from her mother. At that time she, as a member of the Communist Party, did not have a wish to start a career in the fashion world. “I thought that making bags, shoes or dresses is the worst way to spend one’s life”, Prada later told the London Evening Standard newspaper. However, in 1978 she met Patricio Bertelli, an entrepreneur from Tuscany, who owned his factory and from the earliest years used to make leather bags. 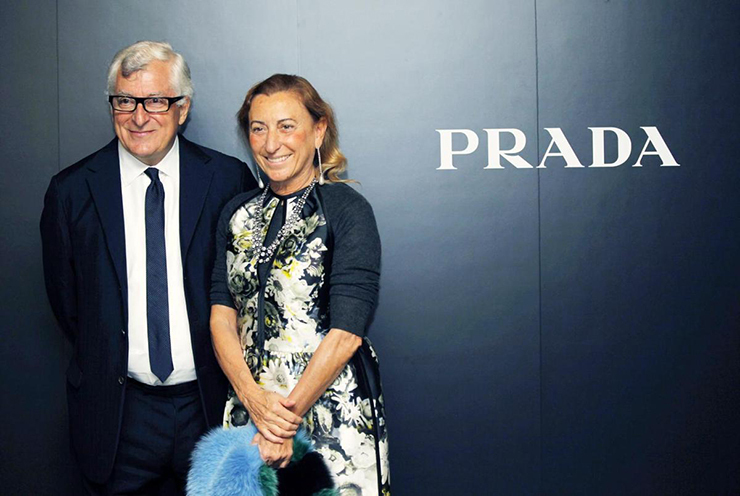 He offered her help, and soon an affair started to twist between them: first, Miuccia made him as her mentor, and later on as the head of the Prada empire. In 1979, they presented a line of women’s shoes, and in 1984 created a nylon backpack, which became a desirable piece of all the mods in the world. In 1987, Prada and Bertelli officially became the husband and wife, and a year later their son Lorenzo was born. Despite the pregnancy, Miuccia worked at full strength – and in the same year introduced the debut collection of women’s clothing. In 1990, she gave birth to her second son, Giulio, and two years later she introduced the Miu Miu line (named after her own nickname). In 1993 and 1994, she received two awards of the Council of Fashion Designers of America – in the nominations “Best Designer of Accessories” and “Best Foreign Designer”. 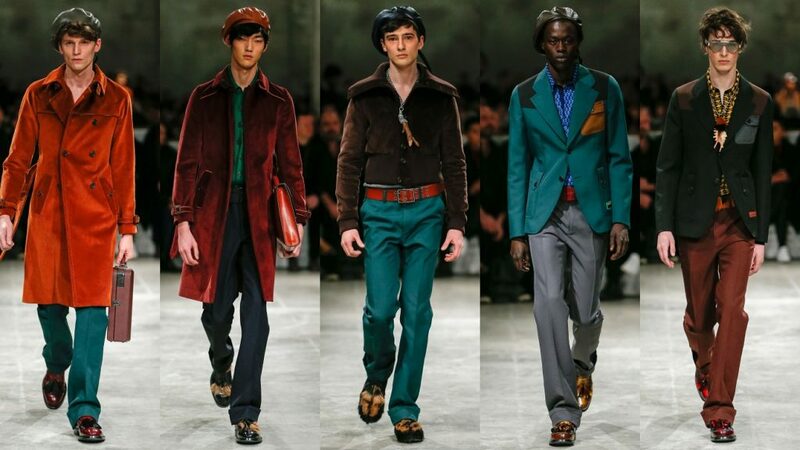 In 1993, the men’s Prada line was launched. In 1997 and 1998, Miuccia Prada introduced the Prada Linea Rossa denim line and the Prada Sport line; in 1999, she teamed up with Donatella Versace to create a sports uniform for the British soccer team Manchester United. In 2001, her name got included in the list of the richest people in the world by Forbes, and in 2005 the magazine raised her to the top of the list, estimating her fortune at $3 billions. During the same year, Time magazine added Miuccia Prada to the list ‘The 100 most influential people in the world’.